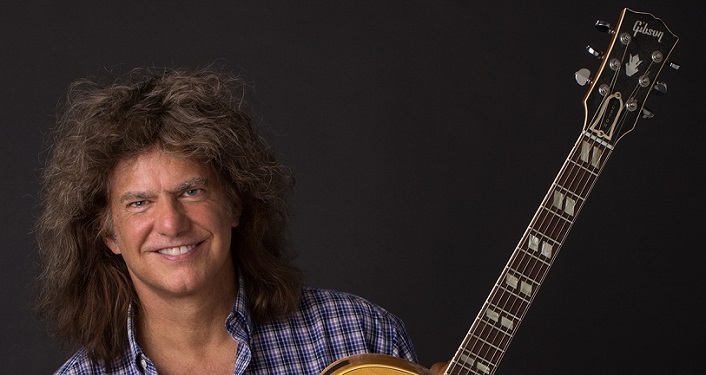 Grammy Award-Winning jazz virtuoso Pat Metheny will bring his new playing environment “Side Eye” to the Ponte Vedra Concert Hall with James Francies and Nate Smith on April 9, 2019. Over the years, Metheny has won countless polls as “Best Jazz Guitarist” and awards, including three gold records for “(Still Life) Talking”, “Letter from Home”, and “Secret Story”. He’s also won 20 Grammy Awards spread out over a variety of different categories including Best Rock Instrumental, Best Contemporary Jazz Recording, Best Jazz Instrumental Solo, Best Instrumental Composition at one point winning seven consecutive Grammies for seven consecutive albums. In 2015, he was inducted into the Downbeat Hall of Fame, becoming only the fourth guitarist to be included (along with Django Reinhardt, Charlie Chrisitan and Wes Montgomery) and its youngest member. With an incredible career already under his belt, Pat Metheny is launching a new playing environment called “Side Eye”, for this upcoming season. “I wanted to create an ongoing setting to feature a rotating cast of new and upcoming musicians who have particularly caught my interest along the way.” The first edition of “Side Eye” will feature keyboardist/pianist James Francies and drummer Nate Smith.